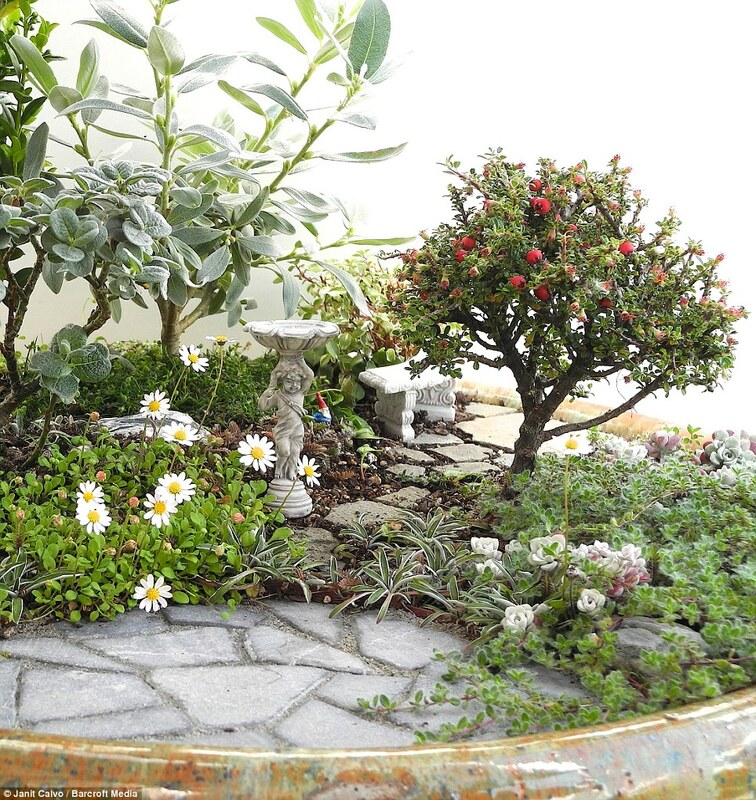 A horticulturist has grown her business by creating tiny gardens – some of which are just an inch wide. 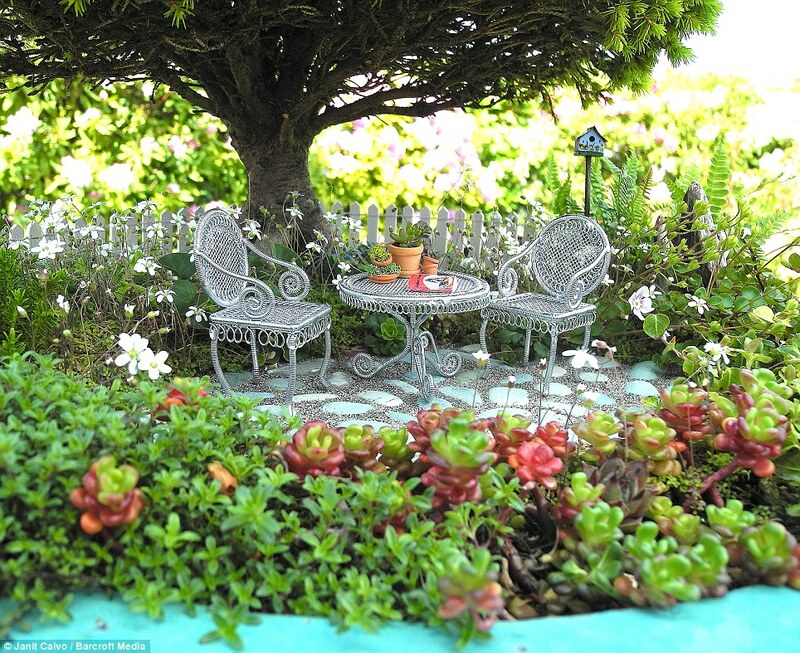 Janit Calvio creates small-scale versions of real-life gardens with miniature deck chairs, small succulents and tiny water features. 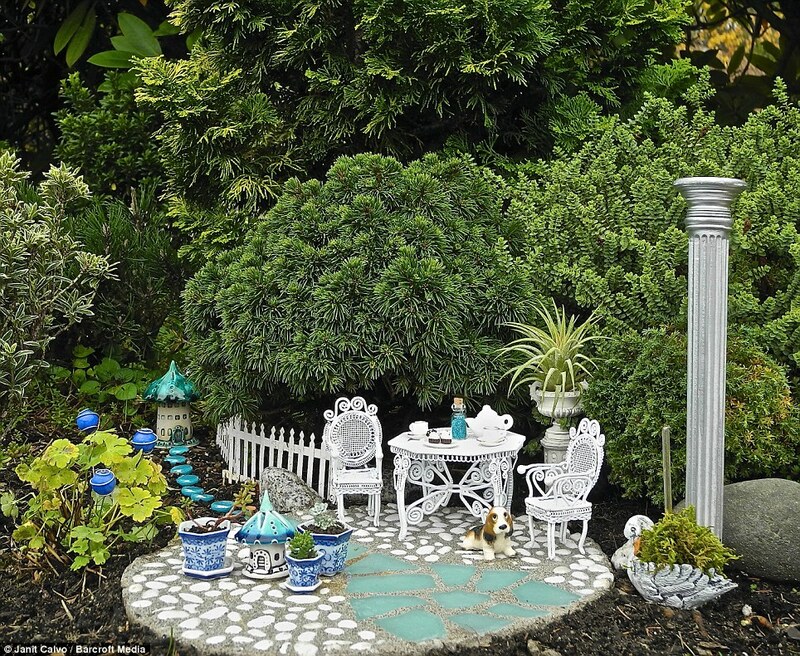 The 48-year-old, from Seattle in the United States, has been making the small gardens since 2000. 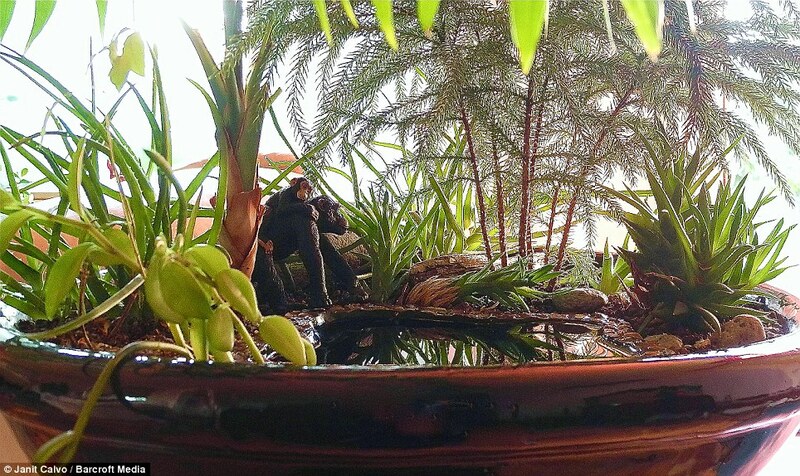 She said: ‘I created my first miniature garden in 2000 when we were collecting images for a greeting card line. 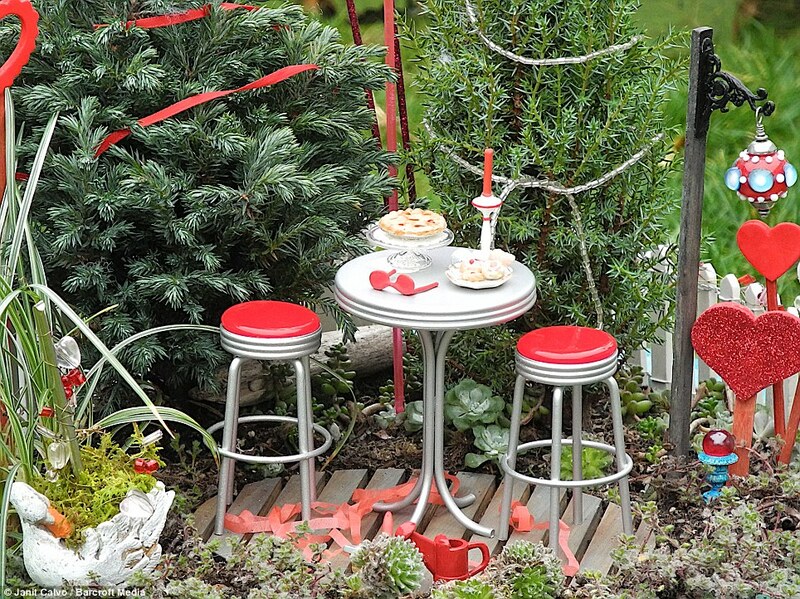 ‘I was looking for a juicier business idea at the same time and it was right in front of me. 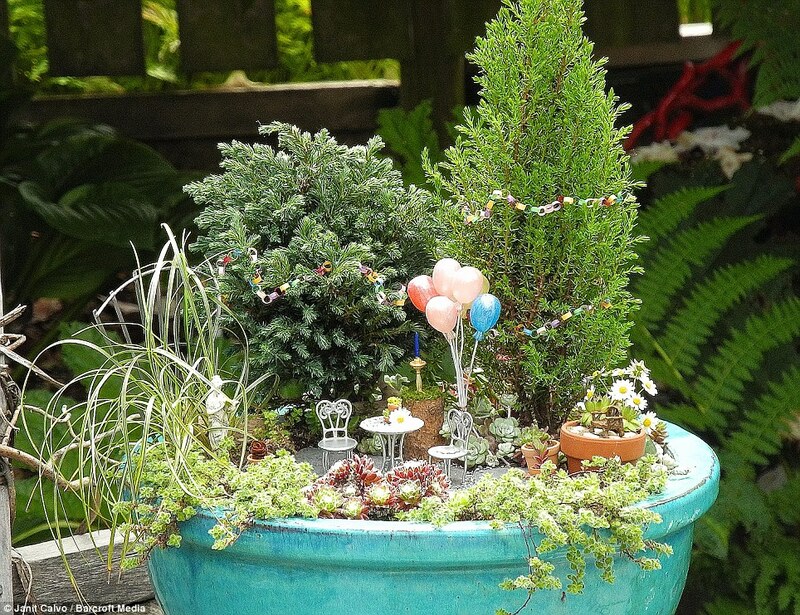 ‘A miniature garden can be a memory of your grandmother’s backyard or your dream garden that may be impossible to do in full-size. 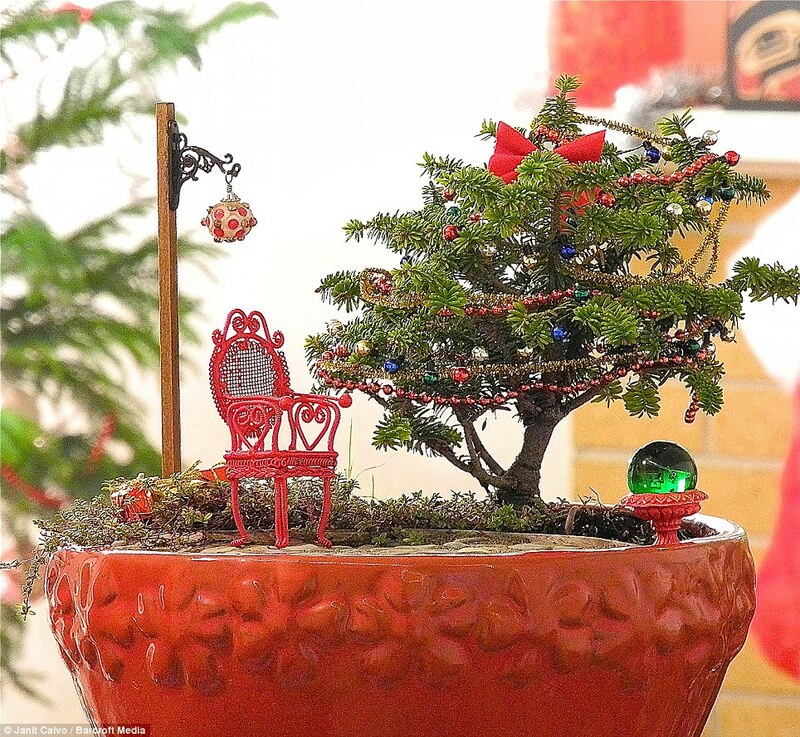 Since picking up a trowel, Janit has made thousands of miniature gardens and lost count at 3,000. 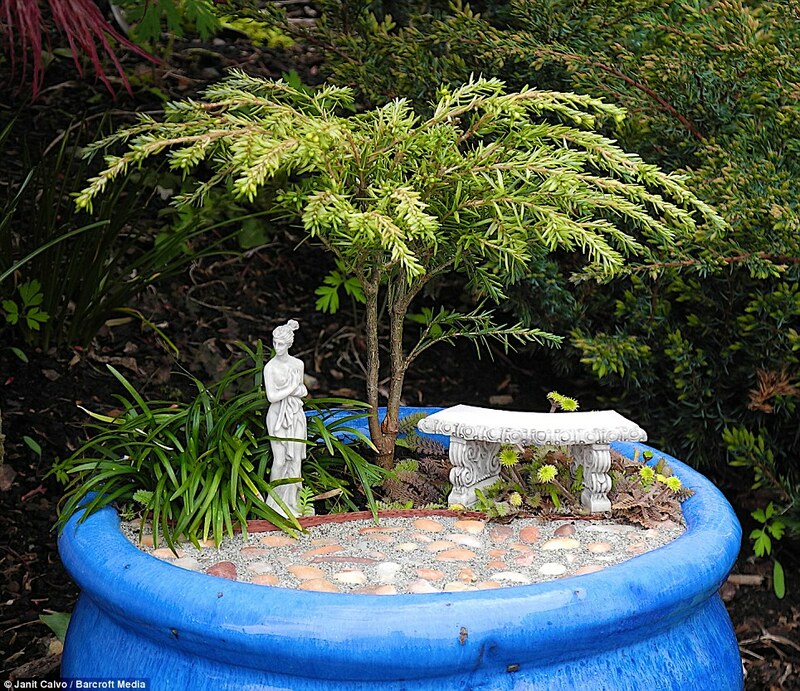 She has passed on her expertise to budding horticulturists through her website and book. 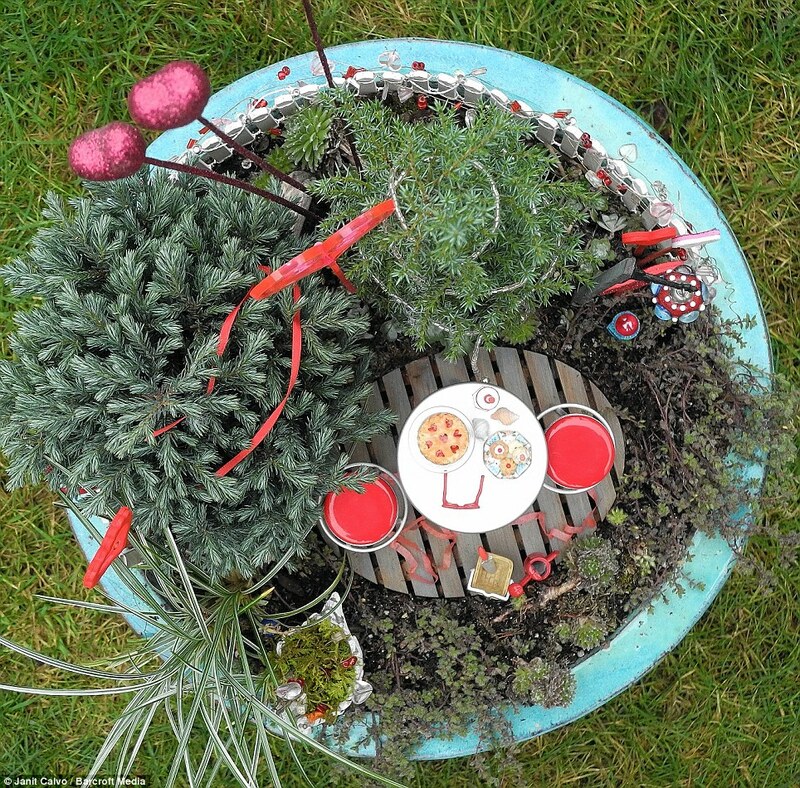 She said: ‘My smallest gardens are 2.5cm wide, planted in a miniature barbecue. 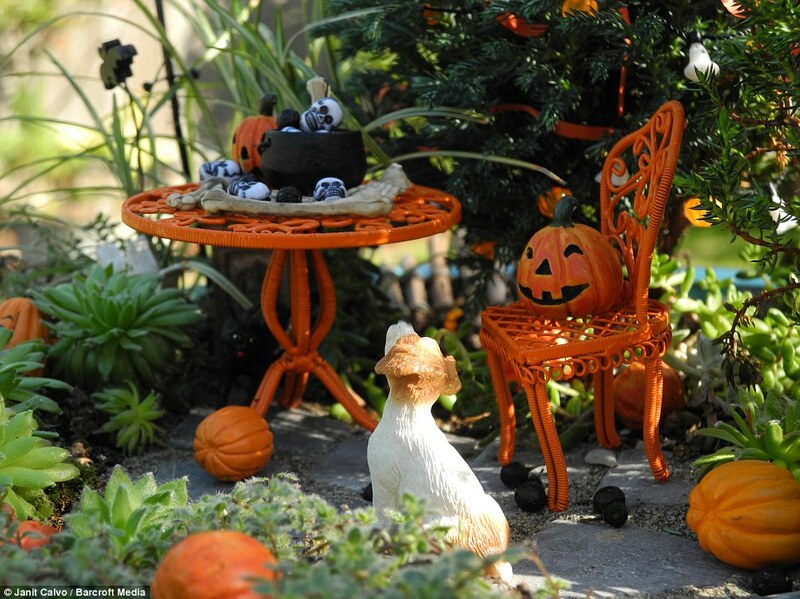 ‘The largest miniature garden I made was a Wizard of Oz garden that measured 1.5 meters by 7 meters, planted in a parking strip. 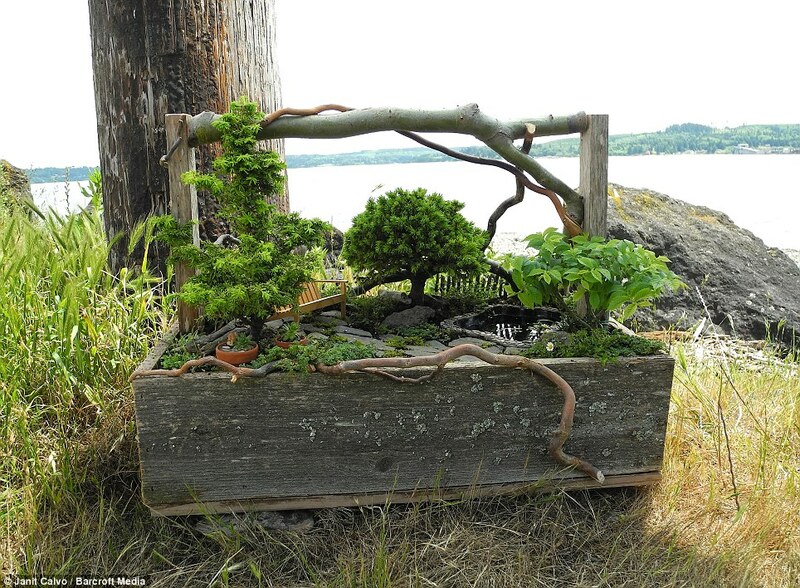 ‘Miniature gardening can challenge your ingenuity, polish your crafting skills, consistently tickle your imagination, teach you about growing a garden and keep you engaged for years.